How to report to Amver- in Russian! If you are a Russian mariner and want to learn how to use Waypoint for Windows as a means of sending Amver reports you will find this video useful. Thanks to our Russian friends for creating this video! Have you enrolled in Amver? Thank you for enrolling your vessels. If you will be traveling to Posidonia please stop by the United States pavilion and say hello. 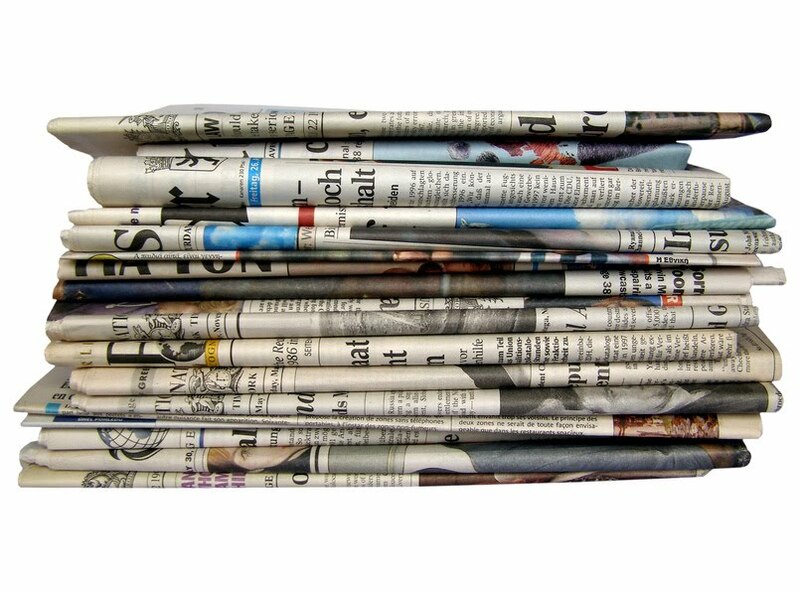 Media is changing, will maritime media change too? This may not be a total maritime story but we think its worth discussing.Yesterday the Wall Street Journal launched a new feature for people living in the metropolitan New York area. The Journal now has a metro New York section in direct competition with the New York Times. So what does this have to do with Amver or the maritime sector? Well, what if Rupert Murdoch decided to launch a maritime insert? Would you read it? Would it cut into Lloyd's List or Tradewinds circulation? How ironic! Just days after giving an Amver presentation to the Research Vessels Operators' Committee meeting in Rhode Island, a German research vessel was diverted to assist a boat requesting assistance in the Pacific Ocean. The sailboat Sea Flyer, an off shore 38 foot cutter with two people on board, was on a voyage from Hawaii to French Polynesia. The boat suffered some damage to its mast during heavy weather. The master of Sea Flyer reported to rescue authorities they had "... six months worth of food, 80 gallons of water and 74 gallons of diesel..." but they required additional fuel. After a series of bad weather and mechanical failures the crew of the Sea Flyer was able to make some repairs but could only sail in light air and under reduced sail. The German research vessel Sonne, an Amver participant since 1978, agreed to divert and pass along fuel. Unfortunately, according to reports from rescue personnel, the Sea Flyer and Sonne were not able to coordinate their positions and the Sonne was released by the Coast Guard. The Sea Flyer remains on a communications schedule with Coast Guard officials in Hawaii until they reach port safely. The Sea Flyer reports they are not in distress. It's important to remember that not all Amver cases result in rescue. Often Amver ships pass along fuel, water, or medical supplies. Not all mariners need rescue. By the sounds of things the crew of Sea Flyer is well stocked and prepared for almost any casualty. They also have a properly registered EPIRB and are maintaining a strict communications schedule with the Coast Guard. 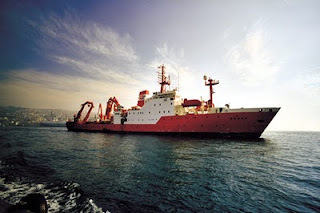 Want to enroll your research vessel? Learn how to sign up your ships here. I had a great time presenting the Amver story to the delegates of the Research Vessel Operators' Committee meeting in Narragansett, Rhode Island. The group was very interested in learning about Amver. Several people asked if their smaller vessels could enroll in Amver even though they aren't at least 1,000 gross tons. Even though we market Amver enrollment to larger commercial ships we encourage research vessels to enroll because they often sail into areas other ships don't transit. There were some great speakers with topics ranging from noise control and design to towing restrictions to Admiralty law. The topics were diverse and the crowd was attentive. The highlight of the conference was a tour of the research vessel Endeavor. The Endeavor was in port having a new crane installed. The ship was very impressive and the crew was more than happy to let a bunch of folks in suits poke around. What about you? Do you sail on a research vessel? Drop us a line and let us know if you enrolled! So what is keeping you from enrolling? Heck, if you're not enrolling you may not even be reading this blog. With that in mind would you kindly forward this to a friend in shipping that may not know about Amver? Thanks, we owe you one! In May 2005 five people set sail from Bridgeport, CT to Bermuda. Overboard, by Michael Tougias, is their story of courage and survival. The United States Coast Guard combined the efforts of search and rescue aircraft, cutters, and an Amver ship to search for the sailors when things turned ugly for them over 400 miles off the coast of Virginia. If you want to read a riveting book combining all of these ingredients then pick up a copy today. We will be giving an Amver presentation at the upcoming Research Vessels Operators' Committee meeting at the University of Rhode Island Graduate School of Oceanography on April 21st. The RVOC has expressed an interest in learning more about Amver. Besides sharing the Amver story with these vessel operators, we hope to enroll some ships as well. If you are going to the meeting please be sure to say hello. In the early hours of April 15th, 1912 Titanic slipped into the icy expanse of the Atlantic taking over 1,500 lives with her. The Amver program evolved from the tragedy and enrolls ships to assist in search and rescue cases where there are no other resources. The voluntary nature of Amver has spurred over 20,000 ships to commit to ensuring no call for help goes unanswered. Please take a moment today and remember those that were lost. Amver will be on the road in the coming months. We have the U.S. Amver awards ceremony in Washington, DC in May and the Posidonia exhibition in Greece this June. Feel free to stop by and say hello! The Amver program contributed to a dramatic rescue 3,000 miles east southeast of Hawaii with the thanks of the Amver participating container ship CAP PALMERSTON, a Coast Guard C-130 and four United States Air Force Pararescuemen. Coast Guard and Air Force rescue personnel, working in partnership with the Amver vessel CAP PALMERSTON, work together to save a 56 year old sailor when he suffered serious injuries 3,000 miles east southeast of Hawaii April 2. On April 2nd a 406 EPIRB alert was received from a location approximately 3,000 miles east southeast of Honolulu, Hawaii. Five people on the sailboat Wind Child I sent out a mayday reporting a seriously injured crew member. The United States Coast Guard Pacific Area Command Center immediately queried the Amver system looking for enrolled in ships. The CAP PALMERSTON was the closest ship prompting rescue authorities to divert the vessel to assist. In addition to the Amver vessel, rescue personnel contacted a Coast Guard C-130 to deliver a special Air Force Pararescue team to administer medical care. As the CAP PALMERSTON sailed towards the distress location a medical team from the California Air National Guard's 129th rescue wing flew to the distress location prepared for the worst. The 129th Rescue Wing, with its elite Air Force Pararescuemen, is prepared to care for any medical situation. The rescue team boarded a Coast Guard C-130 aircraft and parachuted down to the sailboat with 4 "PJs", an inflatable zodiac boat, and an array of medical equipment. Air Force Pararescuemen prepare to jump from a Coast Guard C-130 to rescue an injured sailor 3,000 miles east southeast of Hawaii (USCG photo). Pararescuemen from the 129th Rescue Wing approach the sailboat Wind Chill I after the crew issued a mayday 3,000 miles east southeast of Hawaii. 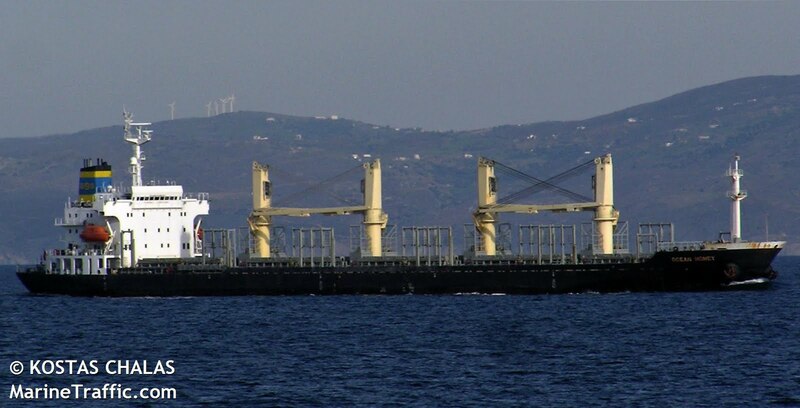 When the Liberian flagged container ship arrived on scene the crew embarked the injured yachtsman and the rescue crew and sailed towards a rendezvous with a rescue helicopter near the ship's next port of call in Mexico. The CAP PALMERSTON enrolled in the Amver system on August 23, 2007. Exciting isn't it? Your vessel could be the next ship featured in a story like this by simply enrolling in the Amver system. Additional photos of the rescue can be found on our Flickr page. Don't forget the I Amver video project. You can tell the world about your participation in the only global voluntary search and rescue program. Click here for details. The United States Coast Guard Eleventh District Command Center recently received a 406 EPIRB alert 315 miles south east of Acapulco, Mexico and immediately diverted several Amver vessels. In addition to the Amver ships, a Coast Guard C-130 aircraft from Joint Interagency Task Force South was also diverted. It was the cargo ship Ocean Honey, however, that arrive on the scene and plucked 13 fishermen from the water after their fishing boat, the Ta Fu #2 burned and sank. 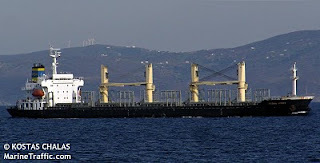 The Hong Kong flagged cargo ship enrolled in the Amver system in 1995. While the Ocean Honey is credited for the rescue, the M/V Umberto D'Amato, an Italian flagged Amver participant, was also diverted to assist. Fortunately a sister ship of the fishing vessel was near the distress location and the Honey Ocean was able to transfer the 13 survivors to their sister ship. AIS- more than collision aviodance? Ryan Skinner has an interesting post referencing a BIMCO piece about AIS vessel tracking and the implications that may have on the maritime sector. While some may tout the benefits of satellite based AIS tracking, the reality of full world fleet tracking may not be fully implemented yet. Some argue that AIS would spell the end of Amver. We say Amver is a tool. When Amver is coupled with other tools such as AIS, LRIT, fishing vessel monitoring programs and other regional vessel tracking schemes, paints a more complete picture for search and rescue purposes. Ryan digs a little deeper and looks beyond the obvious benefits of AIS- collision avoidance and search and rescue. He asks what the business implications (or advantages) of AIS might be. Mr. Skinner speculates information aficionados may find a treasure trove of data when global vessel tracking becomes a reality. 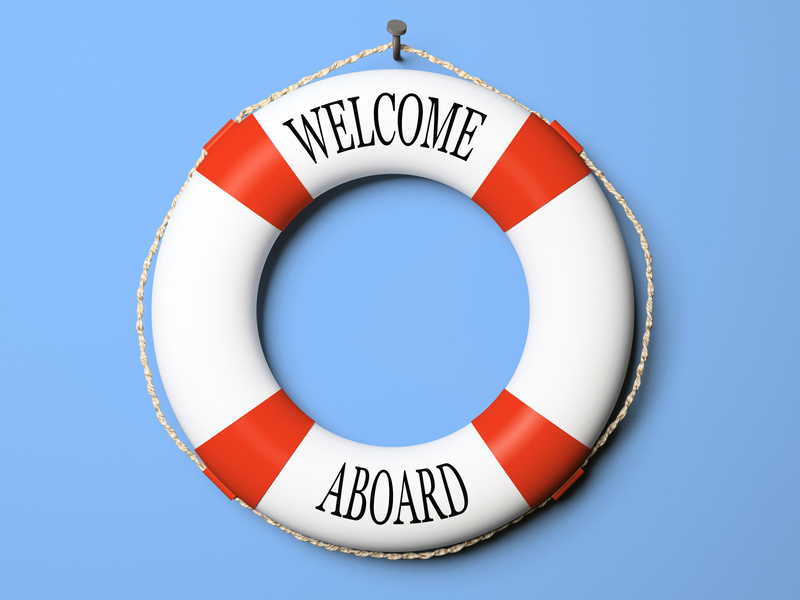 Since this isn't a business blog we'll get back to maritime safety. Your ships can increase the likelihood they are available for search and rescue authorities by enrolling in Amver. Any by the way, our data isn't for sale to shipping or business analysts! Do you know of anyone exploiting AIS data for business purposes? Have you enrolled in the Amver system? If not why? Is it the cost of satellite transmissions? Did you know the cost of a typical Amver position reports are less than $1 per transmission. $1 is a small price to pay for being available to save a life. We're curious what may be keeping you from enrolling. Let us know in the comments and give us an opportunity to address your concerns. False distress alerts take a considerable toll on search and rescue authorities. Besides risking the lives of surface and air crews the costs can be staggering. Why are we mentioning false distress alerts on the Amver blog? Because we found this story of a faux sinking yacht. This crazy looking vessel even has a rudder and propeller! 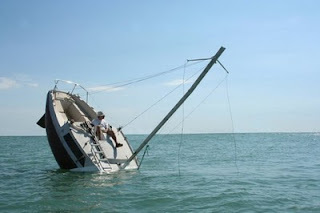 Yup, someone actually built this working power boat that looks like it is sinking! What sorts of calls to coast guard authorities do you think this would generate? Of course we still encourage you to enroll your ships in Amver to assist in the real search and rescue cases. Has your search and rescue organization been plagued with false calls? How to do you go about policing false calls? Does shipping need a celebrity? We have often joked around the Amver office that until a celebrity's ship sinks at sea we will always have a tough time getting ourselves noticed in the mainstream media. We haven't come close to having a celeb rescued yet, which is probably a good thing. But Lloyd's List recently blogged from CMA Shipping 2010 about the need for a celebrity, or more specifically a Richard Branson figure- someone to draw in regulators, politicians, and the media like a moth does to a flame. There just isn't one yet. What do you think? Who could bring positive attention to shipping? Donald Trump, Steve Forbes, or Martha Stewart? In our view it's you the Amver participant that is the celebrity. Enrolling in the Amver system elevates you to super star status in the eyes of the people rescued each year. Now if we could just rescue Ivanka Trump if she were in distress at sea! Amver had a productive and successful time at the Connecticut Maritime Association Shipping 2010 conference last week. If you were there you learned how to chart a new course through the "fog". If you weren't there you can search Twitter for #shipping10 (you may have to weed through the sunglasses advertisements) and see a brief summary of events. You can also see our brief video below. See you at Shipping 2011! If a picture says a thousand words than a video must speak volumes. Enjoy this brief video we have for you and don't forget about the I Am Amver video project we are promoting. We really do want you to upload your videos so we can share them and show the world what Amver is.